Over the past few weeks Sebastian has been diligently working on a snow leopard research paper/book. He decided he wanted to make a bit of a guide book to share with Miles when he gets older. I am quite proud of him. He did a little bit each day, and typed up his work. I helped fix his spelling, grammar, and the format on the computer, but this is all his work! 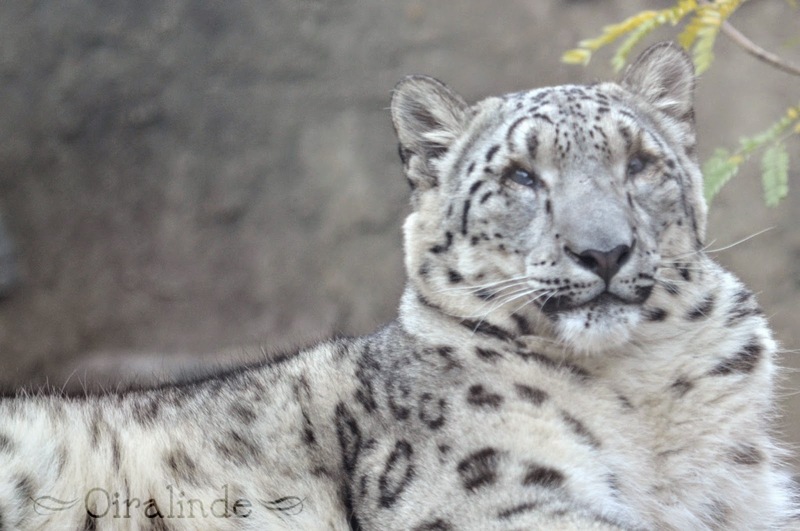 This is a picture of a snow leopard we saw at the zoo last fall! I love snow leopards! Snow leopards are one of the smallest big cats. They live in Central Asia in the Himalayan Mountains. Snow leopards are nicknamed mountain ghosts because they are rarely seen by the villagers that live in the same habitat with them. Do you know that snow leopards eat ox and sheep? Snow leopards will eat any hoofed animals and if there are none, they will eat birds, hare, and marmots. Amazingly, a snow leopard can kill prey that is three times its size! And there is no record of a snow leopard attacking a human (so don't be afraid). Snow leopards stay with their mommy for two years. Snow leopard cubs learn to hunt in their first winter with their mother. Do you know that snow leopards have the longest tail of any cat IN THE WORLD? They use it for warmth and balance. They also have very thick fur because they need to keep warm in the cold. If they didn't have the coat, they would be very cold. Instead of roaring, snow leopards can hiss, growl, and meow because of their different vocal cords. Some people use the words “prusten” or “chuffing” to describe the sounds. Snow leopards are endangered, so please help snow leopards! They are endangered because their habitat is being taken away and hunters are killing snow leopards just for their fur and bones. Sometimes snow leopards attack the livestock of villagers they live near. In return, the villagers hunt and kill the snow leopards to keep their livestock. Please help us stop hunters from killing snow leopards because if snow leopards became extinct, some things would never be the same. “Saving Snow Leopards” By Pamela Crowe. Highlights. April 2015. Snow Leopard, Card 141, Wildlife Fact File. “Snow Leopards Secrets” by Karen DeSeve. National Geographic Kids. March 2015. “Dodging Extinction” by Cody Crane. Science World. March 2015.